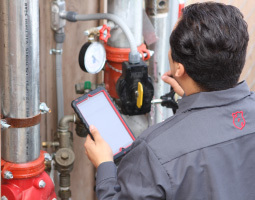 With our inspection, installation and maintenance services, Aztec Fire & Safety has protected homes & businesses in Aliso Viejo CA since 1996. Whether we’ve serviced or installed fire alarms, fire sprinklers or fire extinguishers, our goal has always been to ensure you are in compliance with fire & life safety codes. Read our reviews below from your satisfied Aliso Viejo, CA neighbors.